The poisonous water in Flint (MI) has been widely publicized—at least in more progressive publications—but lead is not the only danger to water in the United States. Much closer to my home is the practice of spraying herbicides in Oregon’s forests where the poison moves far beyond the intended destination. Each year, helicopters spray herbicides on more than 165 square miles of Oregon timberland, an area larger than the city of Portland, under the West Coast’s weakest regulations. As endocrine disruptors, herbicides are banned in many countries because of their carcinogenic properties. Exposure results in rashes, nausea, headaches, seizures, and convulsions, and even death. Some herbicides cause nervous system disorders, such as peripheral neuropathy, which begins with numbness and tingling in toes and fingers that spreads to hands and feet as well as pain, muscle weakness, and sensitivity to touch. Long-term exposure to chemicals used in aerial spraying can injure the liver and kidneys. State foresters and private timber companies use helicopters to kill vegetation on recently logged land through herbicide spraying. Washington, Idaho, and California are aware of dangers and attempt to protect their residents from indiscriminate spraying. Oregon officials with the Oregon Department of Forestry, however, have permitted pesticide sprayers to continue even after they have lost their license. Although complaints against Applebee Aviation found several violations, owner Michael Applebee told his employees to keep flying—which they did on 16 more parcels of forest, two of them public lands. Applebee employee Darryl Ivy, recorded over 200 videos, showing how helicopters sprayed the toxic poison on workers, drivers moved leaky trucks covered in weed killers past homes and rivers, and one man who dipped a bucket with a chemical polluting water into a stream. One of the weed killers, Velossa, can cause irreversible eye damage; another, 2,4-D, causes skin irritation. Just breathing vapors can cause dizziness. Ivy wasn’t told that they were supposed to wash their skin for 15 minutes if chemicals land on his clothes. In 2010, an Applebee pilot covered a Hillsboro cyclist with herbicide, but neither the pilot nor the company was fined. In 2014, another Applebee pilot allowed weed killers to drift 400 feet into a neighbor’s front yard, sickening several people. The pilot and the company were each penalized $407, less than driving 36 mph in a 25 mph zone. In October 2013, a logging operation sprayed chemicals on over 40 people in Curry County’s Cedar Valley as an independent pilot repeatedly flew over homes between two clearcuts, misting people below. His license was suspended for a year, and both he and the business were fined $10,000. No one has been punished, however, because the case is on hold while Steven Owen, the pilot, is contesting the judgment. Last fall, a parent saw the aerial spray of chemicals drifting toward Triangle Lake Charter School from two miles away. A new law prevents spraying within 60 feet of school buildings but not the playgrounds or other outdoor areas. Weyerhaeuser had filed a spray notice on August 12, 2015 that they would be spraying between September 2 and December 31; the spray was September 8 and 9, the first two days of school. There were at least ten sprays the first day. The school was not notified because it was not on the Oregon Department of Agriculture’s list. The 30-minute documentary Behind the Emerald Curtain by the Oregon-based conservation group Pacific Rivers shows testimony from the damaging herbicide spraying, including near schools, healthcare facilities, and schools. As in other communities depending on watersheds for water, Rockaway Beach suffers from degraded water quality and sickened forestry workers because of herbicide spraying. Provide as much protection to people, livestock, and crops as to fish. Ensure that people know that herbicides will be sprayed nearby. Allow people to know what chemicals are being sprayed near their homes and drinking water supplies. Although Oregon’s Forest Practices Act requires helicopters to keep chemicals away from a 60-foot buffer zone along fish-bearing streams, residences and agricultural lands have no buffer zone. Washington state has a 200-foot buffer around residences, and Idaho bans spraying within one-half mile of agricultural lands. Oregonians must each pay $25 for advance notification. Otherwise, Rockaway Beach resident Nancy Webster said, “You just listen for the helicopters.” Information about chemicals in herbicides is difficult or impossible to find. Up to 40 percent of herbicides sprayed from the air is lost to drift that travels four or more miles. Oregon law does not prevent pilots from spraying in windy and rainy conditions, allowing chemicals on private property and homes. Opponents of SB613 claim that people get sick because pilots violate existing laws and fear that spraying forest herbicides will be completely banned as it is on federal lands. Oregon law permits clearcutting on slopes of any steepness within 20 feet of most waterways but with no buffer for small streams without fish. Toxins can be sprayed directly on small streams that flow into larger streams. This practice causes a temperature rise greater than in areas with wider buffers. Last year, Oregon was the first state to have its regulatory program disapproved by the federal Environmental Protection Agency and NOAA Fisheries, partly because it did not control the aerial application of pesticides. Conservationists say that there is an alternative to spraying clearcuts to destroy plants competing with new fir saplings. According to Lisa Arkin, executive director of Beyond Toxics, trees will grow with killing off understory vegetation but take longer. Economist Ernie Niemi points out that the practices are as bad for the economy as for the environment. The exporting of most cut trees eliminates local jobs and income. The film also features private forest owner Peter Hayes, whose family timber company Hyla Woods cuts its trees in ways that maintain as much forest diversity as possible in order to preserve ecosystem health. Like other rural areas of the state, the abuse of aerial pesticide spraying in Lincoln County (OR) has gone back decades. When a county commissioner protested the EPA ban of herbicide 2,4,5-T in 1979, claiming that any health problems came from smoking marijuana, 22-year-old Melyce Connelly decided to fight back. She had just learned that the EPA found dioxin in a neighbor’s water supply; the neighbor had had two miscarriages and one child with multiple birth defects. The Forest Service announced that it would substitute 2,4-D for that year, spraying the headwaters of Ryan Creek, Melyce’s watershed for her farm. Melyce and her neighbors met with the district ranger who promised that their water sources would not be sprayed. Three days later, a helicopter sprayed their water source. Within a few days, all the young chicks and ducklings on Melyce’s farm died, and her six-month-old son developed persistent, bloody diarrhea. Over the next month, every pregnant women in her first trimester who lived in the surrounding valley miscarried, and several children were hospitalized with near-fatal cases of spinal meningitis. Melyce carefully preserved the dead chicks and ducklings in her freezer, hoping to get them analyzed. Hearing the commissioner’s claim about marijuana, she took some of the dead chicks and ducklings and dumped them on his desk along with her baby’s bloody, soiled diaper. The commissioner apologized, and from that time on, Commissioner Andy Zedwick campaigned against the aerial spraying of herbicides. Later Melyce gave researchers the dead chicks and ducklings for analysis only to find out that the results had been “mixed up” with Dow Chemical samples from Midland (MI). In the next five years, dioxin levels increased four-fold in sediments upstream from Melyce’s home. There was no attempt to collect further samples in the valley, and the EPA announced that the levels presented no “immediate” health risk. Ten years after Ryan Creek was sprayed with 2,4-D, Melyce Connelly died on July 4, 1989 of brain, lung, and breast cancer. She was 32 years old. If she had lived, she would have celebrated her 60th birthday this year. Not until 1993 did EPA admit that 2,4-D was contaminated with the most toxic form of dioxin, 2,3,7,8-TCDD although they had known this since the early 1970s. The use of 2,4-D in forestry and on residential lawns, roadsides, golf courses, and school grounds continues to this day, with EPA approval. Before all the hoopla about vaccinations and the president’s budget, the Senate passed the Keystone XL pipeline by 62 to 36 with the support of nine Democrats. It’s not a done deal yet because there has to be a coordination with the House bill, but it’s sure to head for the president’s desk, hopefully for his veto pen. An accurate tweet from Charles Gaba stated that more senators voted to build the pipeline from Canada to Texas than jobs that the completed project would provide. (That’s 35 jobs, if you’ve forgotten.) With the real economic benefits in our neighbor to the north, Josh Green joked that it’s “kind of nuts” that GOP congressional legislators are “fighting for the Canadian economy. It won’t help the U.S. unemployment rate. Why do Republicans want just that one oil project so much? To them, it’s a symbol. To them it has become The Most Important Project in the World. The GOP has no jobs agenda and no economic vision. Voting on the Keystone pipeline keeps conservatives from noticing that pesky little fact. They spent millions and millions of dollars spent on getting control of the Senate, and all they got so far is the Keystone bill that the president has promised to veto. 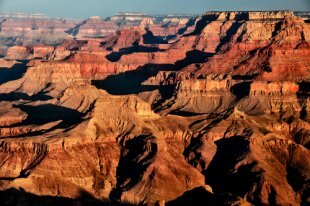 Yesterday was the deadline for eight federal agencies to provide feedback to the Department of State about the project. Those officials will take all that stuff to Secretary of State John Kerry who will think about the project and make a recommendation to President Obama who will then think about it for a while before a final decision. The EPA weighed in by writing that there is “no way” that building the Keystone XL pipeline would not have a significant effect on climate. The nine Democrats who voted for the Keystone pipeline are Sens. Michael Bennet (CO), Tom Carper (DE), Bob Casey (PA), Joe Donnelly (IN), Heidi Heitkamp (ND), Joe Manchin (WV), Claire McCaskill (MO), Jon Tester (MT), and Mark Warner (VA). These are the people terrified of being called tree huggers. Republicans are also comfortable with a foreign company seizing land in the United States. In order for the pipeline to cross Nebraska, TransCanada has filed papers to seize property from the 12 percent of holdouts by eminent domain. Meanwhile Ernie Chambers, a state legislator, has introduced a bill to repeal the pipeline-siting law that would stop the project. Republicans preened themselves for outdoing the Democrats after an amendment about climate change passed the Senate by 98-1: the 98 agreed that climate exchange exists. Mississippi’s Roger Wicker was the one holdout. Five Senate Republicans were brave enough to vote that humans affect climate change, probably because many of them are from “blue” states. Only two GOP senators, however, were willing to go on the record that humans “significantly” contribute to climate change—Mark Kirk (IL) and Kelly Ayotte (NH). The irony of Republicans voting against any human affect on climate change is that these are the same people who complain about China’s not reducing carbon emissions enough to make any difference in the climate. What can go wrong with the Keystone pipeline that crosses a huge amount of water necessary for crops, livestock, and people in the United State? Events just this past January show the danger. The Yellowstone River empties into the Missouri River. The Keystone XL pipeline would be three times the 12-foot diameter of the breached Bridger pipeline and pump more than 34 million gallons of oil per day through the Dakotas down into Nebraska and into the southern leg in Oklahoma and Texas. Five days later, it was discovered that 3 million gallons of saltwater drilling waste had spilled from a North Dakota pipeline. Officials won’t know what affects the briny spill will have on water sources, land, and wildlife until all the ice melts. Chloride concentrations in one affected creek are much higher than usual, even as it fills with fresh water. The escaped brine that contains heavy metals and radioactive material is possibly 17 times saltier than seawater. Last July’s much smaller spill contaminated soil and killed vegetation. Because the only way to clean up brine spills is flushing them with freshwater, that source becomes depleted. 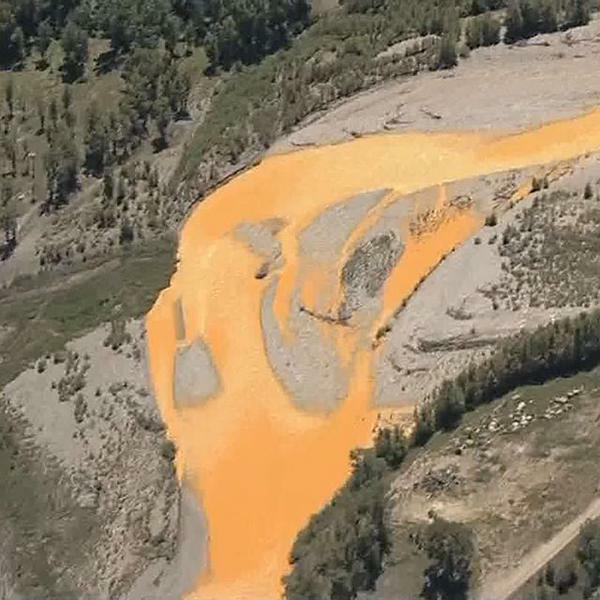 The million-gallon brine spill in 2006 killed fish and forced ranchers to move. The spill has still not been cleaned up. The year 2013 saw over 800 saltwater spills in North Dakota. Ten days after the Yellowstone spill, a pipeline in West Virginia near the Ohio River exploded. Two years ago, a report on another West Virginia gas line explosion in the Christian Science Monitor was subtitled “Just a Drop in the Disaster Bucket.” That explosion burned for more than an hour and melted four lanes of I-77. About 80 incidents in 2012 involving natural gas transmission lines may have been worse because of few inspectors. Explosions in gas distribution lines caused nine fatalities and 21 injuries. The 321,000 miles of gas transmission pipelines have funding for just over 100 inspectors who also are responsible for another two million miles of gas distribution pipelines. 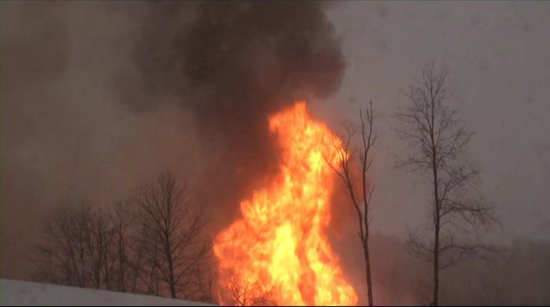 That’s the fourth major pipeline incident in just the first month of 2015. The first one was a gas explosion in Mississippi. Spills from the Keystone pipeline would be much harder to clean up than from the traditional oil or gas pipeline. The thicker, sludgier tar sands oil doesn’t float on top of the water like conventional crude; instead it sinks to the bottom, including the Ogallala aquifer if it spilled into Nebraska’s major source of water. The media largely avoided reporting on any of these disasters while the Keystone XL pipeline was being considered. These are some of the jobs that the Keystone XL pipeline might provide: wildlife washers, oil spill cleanup crew members, lawyers, plumbers, fisherpeople for huge mutant fish, water truck delivery drivers to replace tap water, whistleblowers, and genetic engineers to help people survive cancers. Sen. Lisa Murkowski likes the Keystone vote because it’s good for the spirit of cooperation. It’s just not good for the people in the United States. The House will vote on the Senate bill this next week. During the coming year, Francis plans to issue an encyclical on the issue, urging “all Catholics to take action on moral and scientific grounds.” To influence the UN meeting on climate change in Paris, Francis also plans to convene a summit of world religious leaders and speak to the United Nations General Assembly. Furious tweets are available here. NASA scientists have found some good news about the Earth’s climate. Tropical forests are absorbing as much as 1.4 billion tons of carbon dioxide out of the Earth’s total absorption of 2.5 billion tons. Current, trees and other vegetation are estimated to absorb 30 percent of the carbons that people dump in the atmosphere. The down side is that this increase can deplete water in the area, leading to greater numbers and severity of wildfires. Global warming is still a threat, but scientists are gaining a better understanding of carbon regulation out of the atmosphere. Just keep the tropical forests and put out fires. China plans to shut down 2,000 coal mines this coming year and limit the total to 10,000 by 2016 after closing 1,100 this year. Presently, China, with four times the population of the U.S., produces about four times as much coal as the United States. The number of solar energy jobs increased 20 percent last year to 143,000. That’s over 50 percent more jobs than the 89,000 coal mining jobs in 2012, and almost half those in just the states of Kentucky and West Virginia. Kentucky gets 90 percent of its electricity from coal; California gets less than 1 percent of its power from coal. Coal use for electricity is concentrated in fewer than ten states; it’s easy to determine which states because their senators decry solar energy and the need to reduce pollution from coal. Barclays recently downgraded the utility sector’s high-grade bonds because so many power companies rely on coal although the solar industry is exploding in job growth in the U.S.
Another 85,000 people in the U.S. now work in wind energy and related industry although wind power represents about 3.5 percent of U.S. power generation. This figure shows a 20-fold increase in about a decade. The commercial nuclear industry employs 120,000 people, and the geothermal power industry provides over 13,000 jobs in the nation. One example of clean energy takes place in Hugoton (KS), population 3,900, that employs 75 people at an annual payroll of $5 million at a cellulosic ethanol refinery. Abengoa is the largest cellulosic biorefinery in the world, producing up to 25 million gallons ethanol fueled by non-edible waste bought from local farmers. Refined biofuels are sold in the U.S., Europe, and parts of Asia. The startup money came from the 2009 stimulus program. Tesla Motors, which manufactures electric sports cars, paid back its $465 million loan almost 10 years early. The $30 billion in loans had a two-percent default rate, and the program created or saved about 35,000 permanent jobs. That’s 1000-fold the number of permanent jobs offered by the Keystone XL Pipeline. Fox network commented that the pope is aligning with “extremists who favor widespread population control and wealth redistribution.” Marc Morano came back on the channel to repeat his falsehood that there has been “no global warming” for “almost two decades.” On Special Report, Doug McKelway warned that the pope’s encyclical “may play well into the hands of skeptics who’ve long seen global warming fears as almost religious in its fervor, with biblical themes of a pristine Eden-like planet tarnished by man, followed by a loss of grace and a coming doomsday.” McKelway came to Fox after ABC’s Washington, D.C. affiliate fired him for getting into a “shouting match” with his boss over his faulty criticism of “far left environmental groups” in a piece recycling the false claim that President Obama received campaign money from BP. The head of Fox, Roger Ailes, is a Catholic, and the chair of parent News Corporation, Rupert Murdoch, is raising and educating the daughters from his latest marriage as Catholics and had them baptized in the Jordan River. Pope John Paul II inducted Murdoch into the “Knights of the Order of Saint Gregory the Great.” Catholic Fox pundits include Sean Hannity, Bill O’Reilly, Megyn Kelly, Bret Baier, Bill Hemmer, Brian Kilmeade, Andrew Napolitano, Jeanine Pirro, Laura Ingraham, Elisabeth Hasselbeck, and Father Morris. The current Senior Communications Adviser in the Vatican’s Secretariat of State, Greg Burke, was previously the Fox News correspondent covering the Vatican, a position he held for ten years. In Congress, House Speaker John Boehner (R-OH) is a devout Catholic as are other GOP leaders such as Rep. Paul Ryan (R-WI). In the last House of Representatives, Catholics comprised almost 30 percent of the GOP membership. Ten GOP senators, including Marco Rubio (FL) are also Catholics. (Rubio is already upset with Pope Francis because of his involvement in opening communications between the U.S. and Cuba.) The question may be how far the GOP Catholics will go to oppose their religious leader. The best news about climate change is that people are finally paying attention to it. The senate plans a vote on this coming Tuesday, November 18. Some Democratic senators think that voting for the pipeline will protect Sen. Mary Landrieu’s (D-LA) position. On December 6, her state will decide between her and Rep. Bill Cassidy (R-LA), lead sponsor of the House bill. Landrieu is the underdog because her two conservative opponents collectively received more votes than she did in the November 4 election. Newly elected Senate Majority Mitch McConnell (R-KY) said that the number of jobs created by the project is “stunning.” For once I agree with him. The pipeline will provide only 35 jobs after the two-year construction. Fox and Friends fill-in host Anna Kooiman followed the network’s message of “tens of thousands of jobs created” for the $8 billion pipeline, but the actual number is far fewer than that. The State Department estimates 10,400 seasonal workers for either four or eight months, a total of 3,900 “average annual” jobs over one year. That’s 3,900 full-time jobs each year for building the pipeline, a number which shrinks to 35 after two years when the pipeline is finished. The “related” 26,100 jobs may not add employees because these are in areas already filled—lodging, food, entertainment, health care, etc. Canada is suffering from the concentration on oil extraction because it makes the economy dependent on the price of oil. Even worse, the oil industry has undermined democracy by insisting that anyone in opposition is unpatriotic. The system works the same in the United States as McConnell insists that this nation is dependent on the pipeline for jobs. In fact, McConnell is dependent on the pipeline for his job. As in the United States, Canada’s federal conservative caucus is composed largely of politicians who deny climate science. They have slashed financing in that area, closed facilities researching climate change, and silenced government climate scientists. A month ago, there was hope that Canada had decided to transport its Alberta tar sands east, avoiding huge aquifers in both the United States and Canada. The plan is to go east near Toronto and end before the Nova Scotia aquifer. 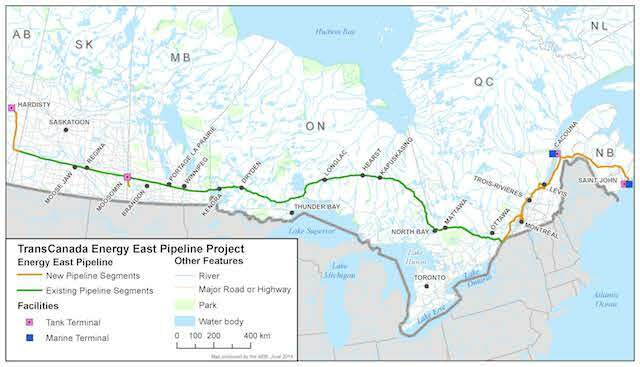 The Energy East Pipeline could be effected by converting about 1,800 miles of existing natural gas pipeline to transporting the tar sands crude. Canada could benefit from taking this route because of Russia’s problems with the Ukraine. If the oil were sent east, it could be sold to Europe and Ukraine if Russia pulls its oil from that region. Another argument against building the pipeline is the dropping cost of oil, down 25 percent from last summer to $74.42 a barrel yesterday. Anything below $65 will make production in Canadian oil sands infeasible. New projects would require $85 a barrel. In the United States, the pipeline will most likely drive up gas prices. The oil bypasses Midwest refineries to those in the Gulf, where it will be shipped to more lucrative markets overseas. That means less oil in this country and thus higher prices. At this time, Nebraska may be the biggest block to the pipeline. In that conservative bastion of the USA, landowners sued to keep Gov. Dave Heineman from unilaterally approving permits and seizing their property through eminent domain. If they succeed in keeping the Keystone out of their state, the pipeline has nowhere to go. [map] Originally Heineman objected to TransCanada’s path through the Sand Hills region in the western part of the state that sits on top of the freshwater Ogallala Aquifer spanning eight states and providing drinking water for 8,000,000 people. A pipeline rupture, which could easily happen considering pipelines’ histories, would irreversibly pollute 30 percent of the U.S. irrigation groundwater for agriculture. The judge’s decision last February put the permits into the hands of Nebraska’s Public Service Commission. The case was argued before the state Supreme Court in early September with no indication of a decision. Nebraskans are smart to worry about the aquifer. The tar sands crude has a peanut-butter consistency and must be diluted, generally with carcinogenic benzene, for transport. From 2006 to 2008, pipeline spills occurred at least once a month, and each one of these was worse than the oil train disasters that the media has publicized. Those monthly spills are the ones that people discovered, but there is an estimate that 95 percent of the spills are not identified because of no pipeline alarm systems. In addition to the spills, new pipes are defective with cracks, pinholes, and dents through poorly welded seams. TransCanada had guaranteed that Keystone Phase I, already operational would leak once in seven years—still a disaster—but it had at least 12 leaks in its first year. Keystone leaks would be on some of the most important farms and ranches in the United States as well as freshwater sources. The State Department reported that a pinhole leak could release enough benzene to contaminate drinking water for 2 million people for 425 days. A leak would cause farmers to lose everything they have. That’s what happened on March 29, 2013 in Mayflower, Arkansas. Lives of Michigan residents near the Kalamazoo River have been disrupted for years with cleanup costs in the billions after the rupture of a 30-inch diameter crude oil pipeline on July 25, 2010. 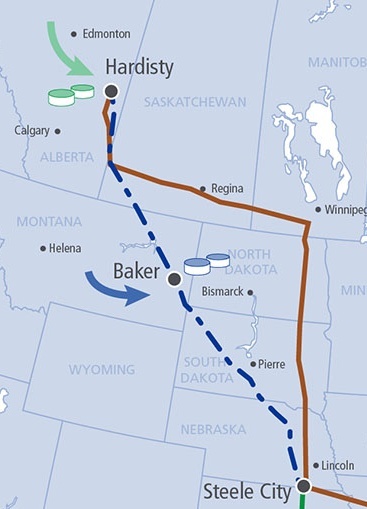 The proposed Keystone XL uses a 36-inch pipe. In both cases the oil companies ignored any problems with the pipes. In the latter, engineers ignored the alarms for 17 hours until an outsider called to complain. Another problem with the tar sands crude is the petroleum coke, or pet coke, resulting from the refining process. Used as a cheap substitute for coal, pet coke sends massive amounts of carbon, sulfur, and other pollutants in the air. In Detroit, refineries just piled up pet coke, up to three stories tall and covering a city block. Nothing was done to control for wind and water runoff, and the company had no permits for the storage. The neighbors had their homes tested and found selenium and vanadium, both of which cause serious respiratory disease. No one took action, even when the water runoff went into the Great Lakes watershed until a plume of pet coke dust moved over Canadian territory in Windsor. Within a month, the pet coke moved to Ohio and also at a Koch brothers site in Chicago. That amount came from one small refinery. Port Arthur (TX) will suffer 30 times that problem if the Keystone pipeline ships its tar sands crude across the United States. That city already has extremely high rates of cancer, asthma, kidney and liver disease, skin disorders, and other serious health issues because of the toxins that they are forced to breathe. Kids can’t even safely play outside. In the House 221 Republicans and 31 Democrats voted to sicken and kill the people of the United States and pollute the nation’s land, water, and air. The Keystone XL pipeline is an indicator of the future. Either the United States further commits the country to taking every bit of fossil fuels out of the ground or moves forward on renewable energy. Fortunately, the votes in Congress are not binding on the president. Because the pipeline crosses an international boundary, the president is the only decider. Elections have consequences. Republicans are very fond of saying this, but they rarely accept the “will of the people.” The November 4 election that swept more GOP candidates into the U.S. Senate also made Denton the first city in Texas to ban fracking by a 59-percent majority. Voters did this in the midst of the Barnett Shale basin where the “father of fracking,” George Mitchell drilled the first sample wells for his company, Mitchell Energy. Immediately, the Texas General Land Office and the Texas Oil and Gas Association filed lawsuits to stop the ban. The incoming land commissioner is George P. Bush, latest in the Bush dynasty to be connected to the oil industry. The legal complaint was filed by the firm Baker Botts; James A. Baker III, a partner at the firm gave P. Bush $10,000 for his campaign. (His race was also funded by hundreds of thousands of dollars from other companies in the oil and gas industry.) Co-counsel in the lawsuit has close ties with the Texas Supreme Court and Justice Antonin Scalia. P. Bush’s father, Jeb Bush, works for Britton Hill Holdings which has investments in a fracking company. It’s also Craddick’s job to deny permits when warranted. Denton has one of the most mined cities in all of Texas: corporations have pumped more than $1 billion in gas from underneath the town. The campaign to keep fracking brought in over 30 times as much as the frack-banning position, $685,000 to $24,000. The massive donations from frackers make Craddick look foolish when she claimed that voters were too “misinformed” on the subject to be able to cast a vote. Frackers declare that no one can prove that their industry is causing the pollution and health problems, but scientists have developed a way to identify when fracking wastes results in environmental contamination through tracking isotopic fingerprints of boron and lithium. The new science reveals that fracking has caused far more risks of drinking water contamination from this wastewater even after the water is treated. In 2012, fracking wells in the United States produced 280 billion gallons of wastewater, a horrifying statistic because over 55 percent of fracked wells are in drought areas. Large corporations have attempted to keep the locations of their fracking wells secret so people cannot blame them for illness and death. Researchers on health are now obtaining this information from SkyTruth, a West Virginia nonprofit that uses satellite and aerial imagery to study the environmental impacts of oil- and gas-drilling, deforestation, mining, etc. The company has discovered 500 new fracking ponds in just Pennsylvania, up from 11 in less than a decade. Frackers have illegally dumped almost 3 billion gallons of wastewater through at least nine injection disposal wells into central California aquifers that supply drinking water and farming irrigation, resulting in high levels of arsenic, thallium, and nitrates. Thallium is used in rat poison, and arsenic compromises the immune system’s ability to fight illness and causes cancer. Benzene, toluene, and other harmful chemicals is found at levels hundreds of times higher than what is considered safe. California has an estimated 2,583 wastewater injection wells; 1,552 are currently active. The flowback water can also be dangerously radioactive, as can the sludge left over from drilling. Last summer, Pennsylvania was scheduled to ship its old drilling sludge to Michigan, home to 84 percent of the nation’s fresh water supply. On the other hand, Ohio just hands out permits to put all the radioactive sludge in instate dumps. A study in September found that people near fracking wells are twice as likely to have upper-respiratory and skin problems. Earlier studies connect fracking to birth defects, higher lung disease risks, and elevated endocrine-disrupting chemical activity in groundwater. The health impact on people also hits agriculture, causing concerns about food safety. Animals infected by toxins can pass those along through meat, milk, and eggs. In one study, half the cattle exposed to a contaminated water source died, 17 of them within one hour. Necropsies found lesions in the lung, trachea, liver and kidneys. A high incidence of stillborn and stunted calves occurred in the other half. The same number of cattle with no exposure in another pasture had no health or growth problems. High salinity in wastewater threatens crops and farming soil. A new study has also found contaminated water from defective well production in Texas and Pennsylvania. Instead of blaming the wastewater, researchers said that the leakage comes from faulty cement casing on the wells. The newest wells, especially in northwestern Pennsylvania, provide the biggest risks. The higher failure rate may be the longer horizontal distances that puts pressure on the casings. In September, Pennsylvania released information about 243 cases of contamination of private drinking wells from fracking in 22 counties after the state Supreme Court ordered that this information be made public. In the same month, state health experts claimed that the Department of Health was telling employees not to talk to residents about fracking-related health effects. Other scientists have discovered much greater methane emissions from fracking than the EPA previously disclosed. By 2015, the EPA will require drillers to capture methane in the completion process and turn it into liquid that can then be sold. Methane in this stage of fracking fell 73 percent. Unfortunately, the EPA reported that emissions at other stages of fracking significantly increased, and scientists found that the natural gas methane leakage is much greater than the EPA estimates. Methane is several dozen times more effective at trapping heat than carbon dioxide. New research also shows a much greater connection between fracking and earthquakes than earlier realized. Although fracking itself may not be a great cause, a large number of them—and those of greater magnitude—are caused by wastewater injection. In early October 2013, after fracking began in Harrison County (OH) almost 200 quakes occurred in just two days. The number of quakes diminished after fracking ended. The same thing happened in the Youngstown/Mahoning Valley region after fracking started there. Frackers are also destroying the environment by mining sand. One single well demands 4 million pounds of sand, precisely Northern White sand. Residents in Wisconsin and Minnesota now suffer truck traffic, silica dust, and breathing problems. The dust causes silicosis, swelling in the lungs and lymph nodes that restricts breathing. Not satisfied with the 4 million pounds per well, the industry is using extra sand because the U.S. Commerce Department lets it export unrefined ultralight oil. Individual mining operations also require between 420 thousand and 2 million gallons of water each day. A by-product of the mining is acrylamide, a carcinogenic neurotoxin. The industry plans to expand sand mining into Illinois, Maine, Massachusetts, Michigan, Missouri, New York, North Carolina, South Carolina, Pennsylvania, Tennessee, Vermont, and Virginia. A by-product of the mining is acrylamide, a carcinogenic neurotoxin. Real estate values near sand mines can drop in value as much as 25 percent, and residents have to pay higher taxes for the destruction of the roads. The group that claims it’s trying to prevent cancer, the Susan G. Komen Foundation, is partnering with fossil fuel firms that cause cancer on a breast cancer awareness campaign. 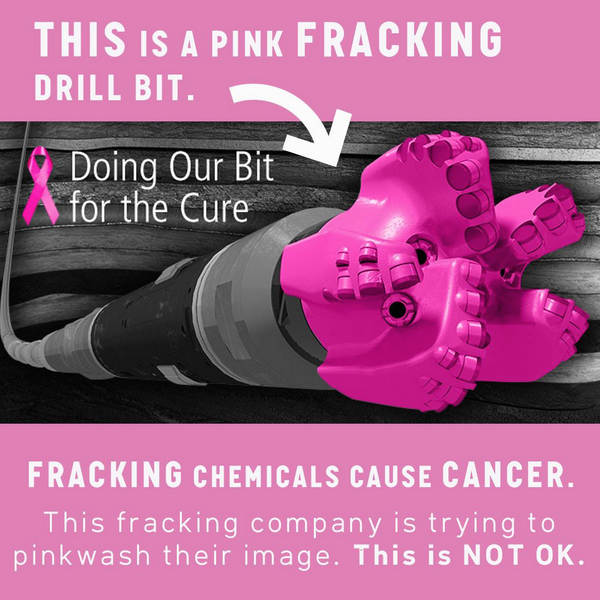 Baker Hughes plans to distribute 1,000 pink drill bits to heighten awareness of cancer. The company is also donating $100,000 for a “yearlong partnership.” A spokeswoman at the Komen Foundation denies that there’s any connection between fracking and breast cancer. Anyone who complains about the effects of fracking may be sued. The fracking company Range Resources is suing Steve Lipsky for $3 million because of his film in which he lights his water on fire. Range claims that he has defamed its reputation for environmental stewardship. The case of free speech v. big business goes to the Texas Supreme Court on December 4. Range has already settled with a family near Pittsburgh for $750,000 after they agreed that they would not say anything negative about the corporation or the entire gas formation, the Marcellus Shale. Last year, the town board of Sanford (NY) stopped any discussion about fracking at its public meetings before a lawsuit made them withdraw their order. Anti-fracking activist Vera Scoggins was barred from any Cabot Oil & Gas property that includes friends’ homes, a hospital, malls, and grocery stores—40 percent of the county. Fracking creates illness and death, makes land unsafe, causes water shortages, raises prices for food, lowers real estate value, and destroys the infrastructure while big corporations buy off supposedly philanthropic organizations and stop free speech. Welcome to the United Corporations of America.